One of journalism’s best fashion critics leaves her post at The New York Times. 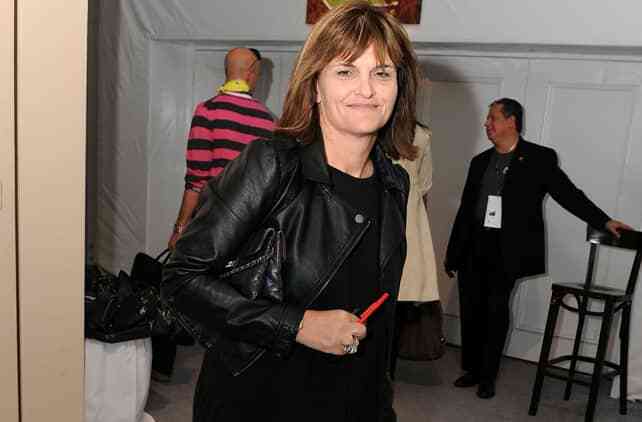 Cathy Horyn has been covering the runways at The New York Times since 1998 and in her nearly 20 years, has become what some say is the best fashion critic in journalism. She's someone who has never been scared to ruffle some feathers in pursuit of telling the truth. WWD reports that the Times is slated to announced her resignation today, and Fashionista has an internal memo circulated to staffers by bosses Jill Abramson and Stuart Emmrich about preserving the level of quality writing that Horyn maintained. Two new employees, Matthew Schneier and John Koblin, have been hired recently as staff writers to cover style. Read the memo below, which says Horyn will be working on a book with Rizzoli, and we'll update with more news as we have it. A sad day in journalism. It is with both deep sadness over her departure and immense gratitude for the legacy she leaves behind that we announce that Cathy Horyn, the paper’s chief fashion critic since 1999, is leaving The Times. Cathy’s reasons for leaving are personal ones, to spend more with her partner, Art Ortenberg, who has had health problems, and whom she feels would benefit greatly from her increased presence at home. How do we measure the impact that Cathy has made at The Times? Is it in the 1,123 bylined pieces she has written in the past 15 years? The promising designers she discovered, the unoriginal ones she dismissed, the talents that she celebrated in ways that illuminated their creative process for a readership that ranged from the executive offices of LVMH to the bargain shoppers at Barneys Warehouse? We do so in all of those ways to mark the work of a woman who is the preeminent fashion critic of her generation and who has set an almost impossible standard for those who may follow. Just about everyone who comes to the haute couture collections knows that Nan is Nan Kempner, that Deeda is Deeda Blair and that Liliane Bettencourt, who was seated Wednesday in the front row at the Yves Saint Laurent show and wearing an orange muffler, is the richest woman in France. They may or may not know that the youngest couture customer at Givenchy is all of 8, or that Dodie Rosekrans, the San Francisco art patron and couture stalwart, recently bought a full-size guillotine covered with the Chanel logo for her home in Venice. But give them time. Paris is probably the only place on earth where the world’s rich, titled and tucked can always count on being connected, if only through clothes. How can you not be immediately hooked? Times readers were, and have continued to be for the past 15 years. But Cathy was more than just a fashion critic. She was also a superb reporter, one who used fashion as her lens to look into broader cultural themes, most recently in her riveting A1 piece on Jackie Kennedy’s iconic pink suit, worn the day her husband was assassinated in Dallas and today shielded from public view, along with her blood-stained stockings, in a climate-controlled vault on the outskirts of Washington. Cathy will be sorely missed by all of us in Styles and by the paper as a whole. But she is not leaving us completely: She will continue to work on a project that is dear to her heart: A book to be published by Rizzoli that chronicles how The New York Times has covered fashion from the 1850s to the first decades of the 21st century. No doubt it will be a great read.